The trade is currently open. ProShares Short MSCI Emerging Markets�is�a�4.38%�gain. On 01/04/19 generated a�Bearish CCI Opportunities�signal at the entry price of�20.04. After�33�days, the latest closing price is 18.57. The current return for�ProShares Short MSCI Emerging Markets�is�7.34%. It is currently a�winning�trade. After two weeks of trading, ProShares Short MSCI Emerging Markets had returned�4.49%�on investment.�After a month,�7.39%. The trade is currently open. ProShares Short MSCI Emerging Markets�is�a�7.34%�gain. On 01/02/19 generated a�Bearish MACD Opportunities�signal at the entry price of�20.35. After�35�days, the latest closing price is 18.57. The current return for�ProShares Short MSCI Emerging Markets�is�8.75%. It is currently a�winning�trade. After two weeks of trading, ProShares Short MSCI Emerging Markets had returned�5.95%�on investment.�After a month,�8.60%. The trade is currently open. 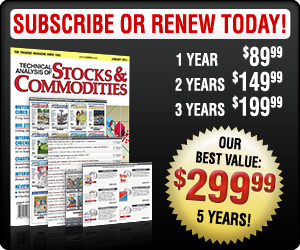 ProShares Short MSCI Emerging Markets�is�a�8.75%�gain. On 12/14/18 generated a�Bullish CCI Opportunities�signal at the entry price of�20.42. After�54�days, the latest closing price is 18.57. The current return for�ProShares Short MSCI Emerging Markets�is�-9.06%. It is currently a�losing�trade. After a month,�-3.48%. The trade is currently closed. ProShares Short MSCI Emerging Markets�was�a�-5.34%�loss. On 12/12/18 generated a�Bearish CCI Opportunities�signal at the entry price of�20.14. After�56�days, the latest closing price is 18.57. The current return for�ProShares Short MSCI Emerging Markets�is�7.80%. It is currently a�winning�trade. After a month,�2.98%. The trade is currently open. ProShares Short MSCI Emerging Markets�is�a�7.80%�gain. On 12/10/18 generated a�Bullish MACD Opportunities�signal at the entry price of�20.62. After�58�days, the latest closing price is 18.57. The current return for�ProShares Short MSCI Emerging Markets�is�-9.94%. It is currently a�losing�trade. After a month,�-5.82%. The trade is currently closed. ProShares Short MSCI Emerging Markets�was�a�-5.14%�loss. On 12/10/18 generated a�Bullish MA Crossover Opportunities�signal at the entry price of�20.62. After�58�days, the latest closing price is 18.57. The current return for�ProShares Short MSCI Emerging Markets�is�-9.94%. It is currently a�losing�trade. After a month,�-5.82%. The trade is currently closed. ProShares Short MSCI Emerging Markets�was�a�-5.74%�loss. The trade is currently closed. ProShares Short MSCI Emerging Markets�was�a�-5.23%�loss. The trade is currently closed. ProShares Short MSCI Emerging Markets�was�a�-5.87%�loss. The trade is currently open. ProShares Short MSCI Emerging Markets�is�a�7.70%�gain. The trade is currently closed. ProShares Short MSCI Emerging Markets�was�a�3.35%�gain. The trade is currently closed. ProShares Short MSCI Emerging Markets�was�a�-5.44%�loss. The trade is currently closed. ProShares Short MSCI Emerging Markets�was�a�-6.95%�loss.